So in my “Weird” Things I do for health post, I mentioned that I’m into fasting. Fasting as in not eating. On purpose. I get it. I used to think that fasting was crazy too. But my prediction is that very soon we’re going to start hearing more and more interesting things about fasting. Both as a treatment and prevention measure against chronic diseases. I do both intermittent fasting and extended fasting. For example, on a lot of days I either don’t eat breakfast or I don’t eat lunch. Although I do put significant calories into my coffee much of the time. So this is all about WHY I fast, HOW I do it, and more. And as always, I AM NOT A DOCTOR. The opinions contained herein should not be construed as medical advice. This is just what has been working for me. I’m trying to remember when I started to hear about fasting. I think this felt like the inevitable direction all of my blogs, podcasts, etc. in this space were going. First paleo, then ketosis, then fasting. For me, the extended fasting is purely about health. I’m doing it to increase cell turnover and clear out any gunky stuff that could contribute to things like cancer or Alzheimer’s later. If you are interested, it can also be a powerful weight loss tool. For extended fasting, I originally had the goal to do a three day fast once a quarter. Last year, James and I did a 48 hour and a 72 hour. (The 48 hour was supposed to be a 72. We felt pretty good 48 hours in, but we were taking the kids to a Papal Mass on the third day and we decided it would be better not to have any added stress.) This year I did an 72 hour fast in Q1. My eventual goal is to be to do a 5-7 day fast annually. Is it hard? Yes and no. It’s definitely something that gets easier the more you do it. Hunger really does pass after awhile. My main thing is a weird, buzzy feeling in my head that I’m guessing is what happens when I shift away from burning glucose for fuel. On my last fast, it mostly happened on day two. It’s not quite a headache, but I wish it wasn’t there. But it passes, and I think it goes away sooner each time. Otherwise, I feel really good. My stomach isn’t growling. I don’t feel faint or lightheaded. I can do my normal workouts. Do I really not eat anything? Well, mostly. I have about a teaspoon of fat in my morning coffee, which is much less than what I usually do. I drink a ton of water and tea during the day. In the evening, I have a cup of bone broth with added salt. (This helps not feel totally weird when sitting down to dinner with the kids; at least I have something to consume.) I know some people do fat fasts where you only eat fat, but I haven’t tried that yet. Why do I like it? A few reasons. Besides the long term health reasons for extended fasts, I do feel good after I do it. For me, it’s like compressing an entire whole30 down into a few days in terms of reset feeling. Cravings banished. Tiger blood. In general, just feeling better. Intermittent fasting is where you stretch your time of not eating a bit. Basically just eating breakfast late. Or not at all. I like intermittent fasting because it reminds me that being without food is OK, and sometimes might be the better choice. I finally realized last summer that canola oil is a big problem for me. Basically I get an instant really bad headache that won’t go away for the rest of the day if I eat stuff cooked in canola oil. So pretty much no fast food. Clearly, I’ll try to eat in situations where I have options, but for me, skipping lunch is a clear winner over feeling really bad. It’s good to know there is an option. Also, this helped me realize that not all meals have to be balanced. For awhile, I think I got caught up in thinking that every meal had to be the perfect balance of protein, fat, and carbs. It’s still the goal, but if I have just veggies for lunch? It’s going to be just fine. The world will not end. There will be more food later. If you have any history of unhealthily withholding food, I wouldn’t recommend it. 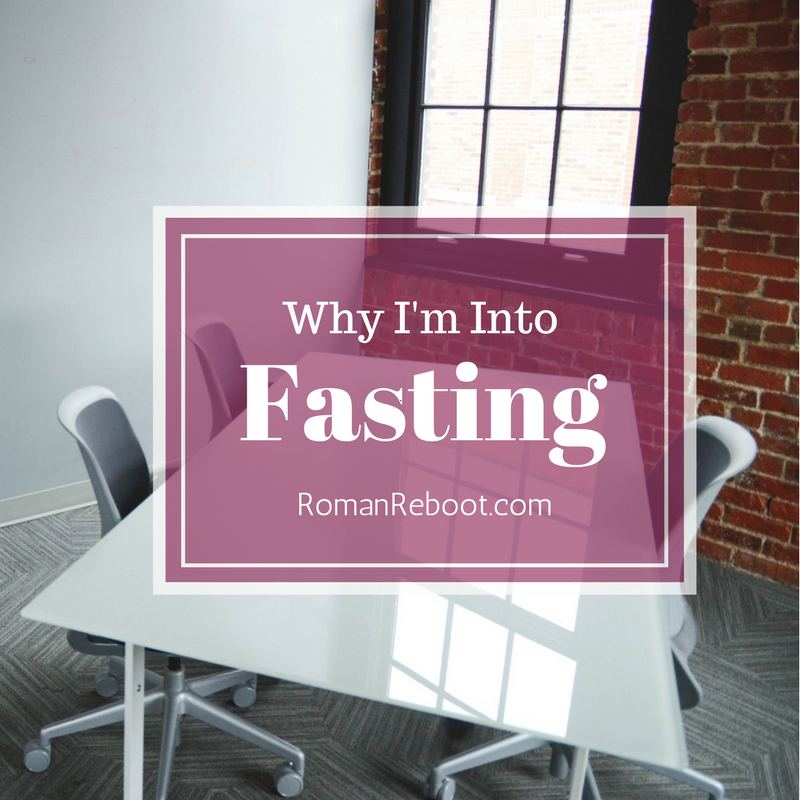 The fasting I’m talking about is really not about that. If you are looking for another tool in your health or weight loss arsenal? It could be interesting for you to look into. If you’re interested in fasting, I’d recommend trying a lower carb diet first. I think it makes the transition easier if your body has already gotten used to burning fat for fuel. Also, make sure to do your research and to be safe. I AM NOT A DOCTOR. For me, it just felt pretty natural. With my high fat/low carb eating, I find myself to be less hungry than usual. It actually feels more normal to eat just two meals a day. But sometimes it doesn’t. Sometimes I’m really hungry. So I eat! I don’t have any set schedule. No “fasting on Tuesdays and Thursdays” regime here. I like that fasting helps me to be more mindful. It breaks the cycle of “it’s noon so I should probably eat something.” Am I actually hungry? Is it just a craving? It forces you to eat more mindfully. I know this is a bit of a logic leap. I feel like for years the message has been that we shouldn’t skip meals or even that we should eat six small meals a day. It’s like when I suggest not to eat “healthy whole grains” times a million in terms of being outside of people’s comfort zone. That’s OK. This is something that has worked for me. Maybe you’ll get some mileage out of it. Maybe not. But I do predict that we are going to be hearing more and more about fasting. Not just from the bros, but from the scientific community as well. Have you tried fasting? Do you like it? Or do you think this is crazy?